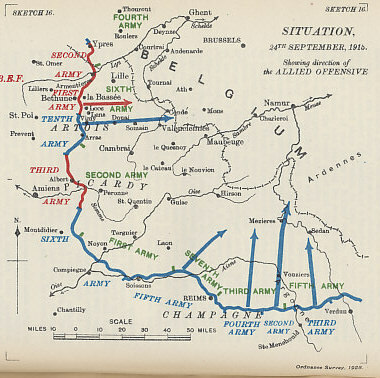 Map of the plan for the Allied Offensive in France showing the situation on September 24, the eve of the infantry assault. An Anglo-French would attack eastward in Artois (with the British at Loos) as the French attacked northwards in Champagne. From 'Military Operations France and Belgium, 1915, Vol. 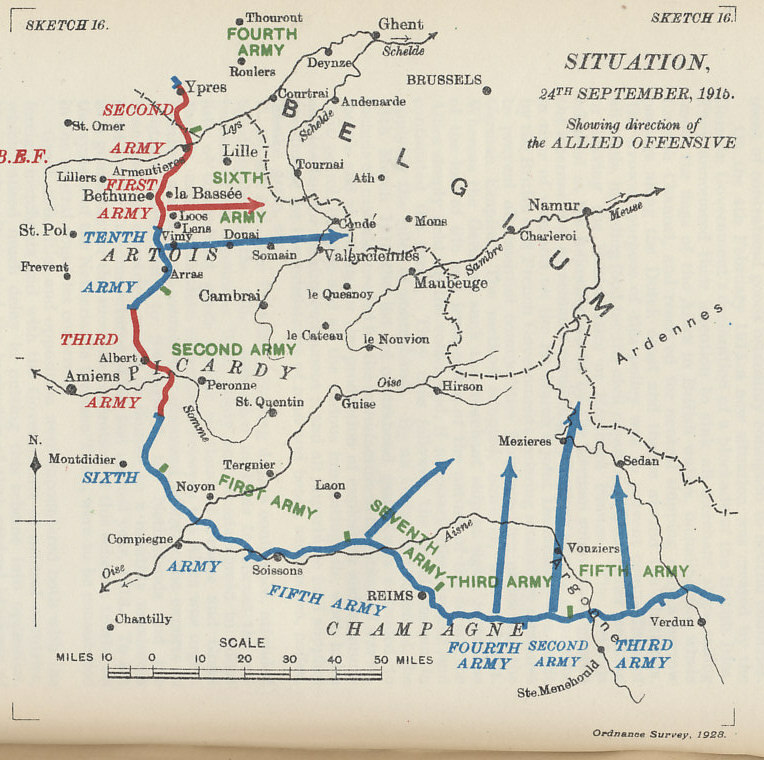 II, Battles of Aubers Ridge, Festubert, and Loos' by Brigadier-General J.E. Edmonds. The Third Battle of Artois was part of Joffre's major offensive in the autumn of 1915. The offensive included the assault of French forces in the Battle of Champagne, and the Franco-British assault between La Bassée and Arras. British forces attacked to the north, from La Bassée to Lens, and French forces to the south, between Lens and Arras, in another attempt to seize Vimy Ridge. 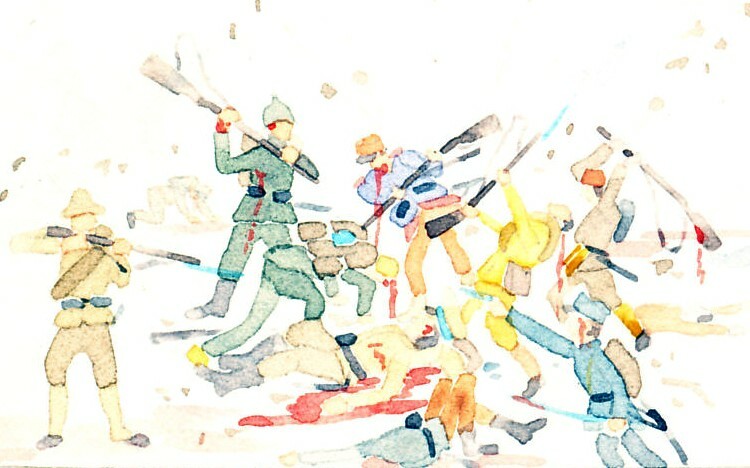 The British effort is known as the Battle of Loos, the French as the Third Battle of Artois. General Ferdinand Foch commanded the French 10th Army in the attack. The Germans had flooded the ground over which the French attempted to advance. On September 26, they captured Souchez, which had been fortified by the Germans, but were pushed back to Vimy Ridge two days later. The French suffered 48,230 casualties. In the battles of Third Artois and Loos, the Germans suffered 55,000 men. Third Battle of Artois is part of The Champagne-Loos-Artois Offensive, Autumn 1915.